Ariane Reinhart joins Bentley from VW on Oct. 1. Bentley's next board member for personnel has spent the last four years helping to recruit and develop sales and marketing managers for all of Volkswagen Group's brands around the world. Ariane Reinhart, 42, joins Bentley from VW on Oct. 1. She replaces Christine Gaskell, who will retire after 17 years with the VW subsidiary. 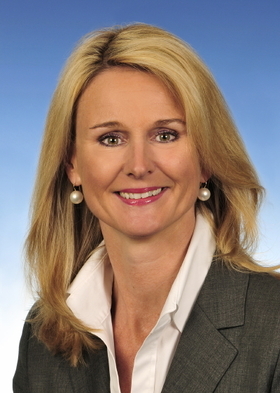 Reinhart joined Volkswagen in October 1999 and has held a number of positions within human resources. The German national, who has a law degree from University of Hamburg, brings "a wealth of international experience in people development and change management processes to our company," Bentley CEO Wolfgang Duerheimer said in a statement. Gaskell had been praised by the UK government for her work to encourage apprenticeships and vocational training. In recognition she was given the honorary title of Member in The Most Excellent Order of the British Empire (MBE) earlier this year. In 2008, Gaskell was named one of Automotive News Europe's 25 Leading Women in the European Auto Industry. Gaskell is the last member of the six-person board to be appointed before the British luxury marque was bought by VW in 1998. Following Gaskell's departure, the only member of board to have joined before 2011, the year Duerhemier was appointed, will be Jan Henrik-Lafrentz, who is responsible for finance.